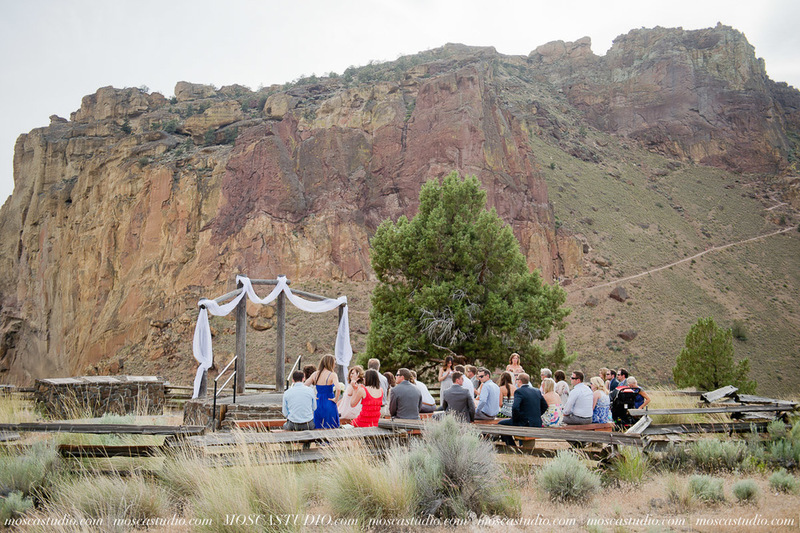 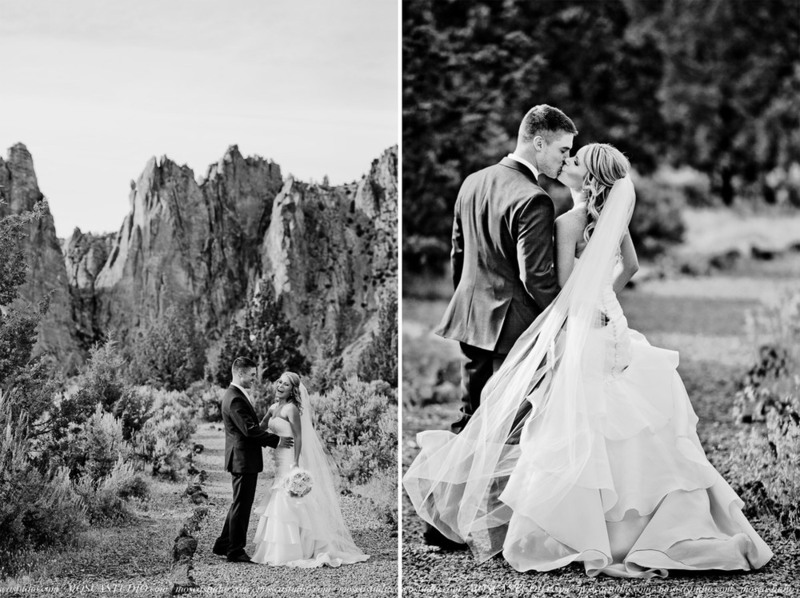 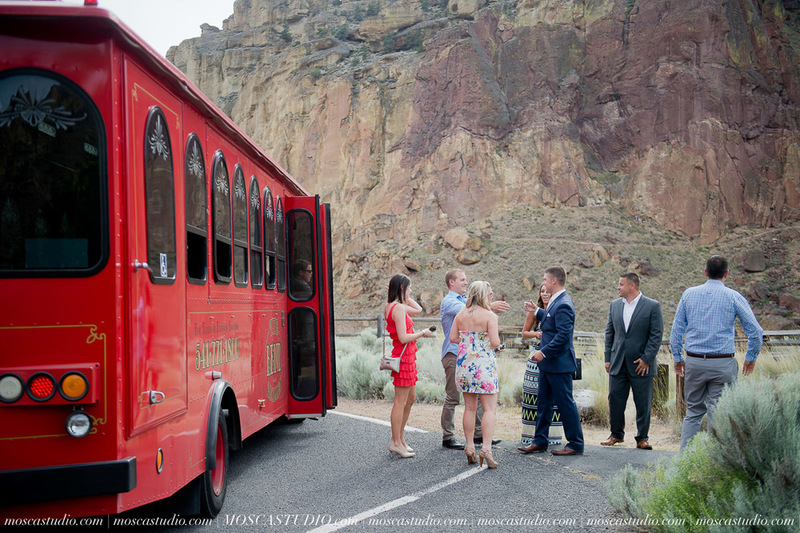 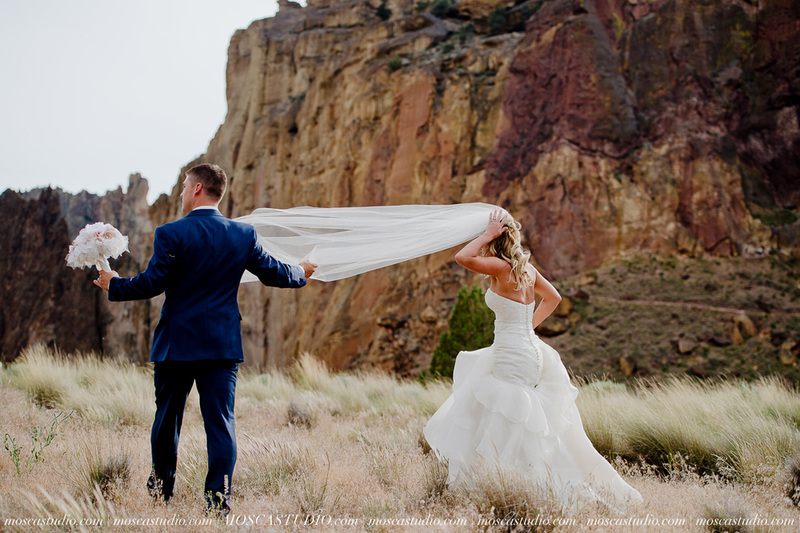 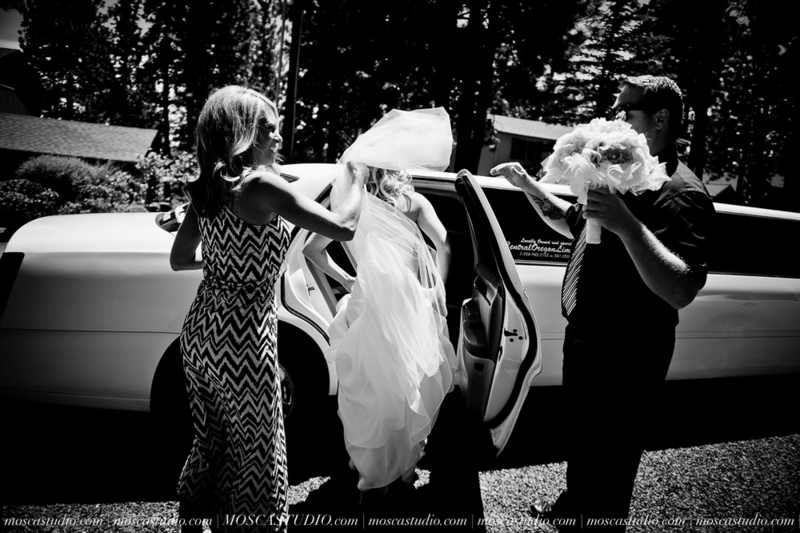 We are so excited to show you this gorgeous destination wedding in Smith Rock State Park, by Bend Oregon. 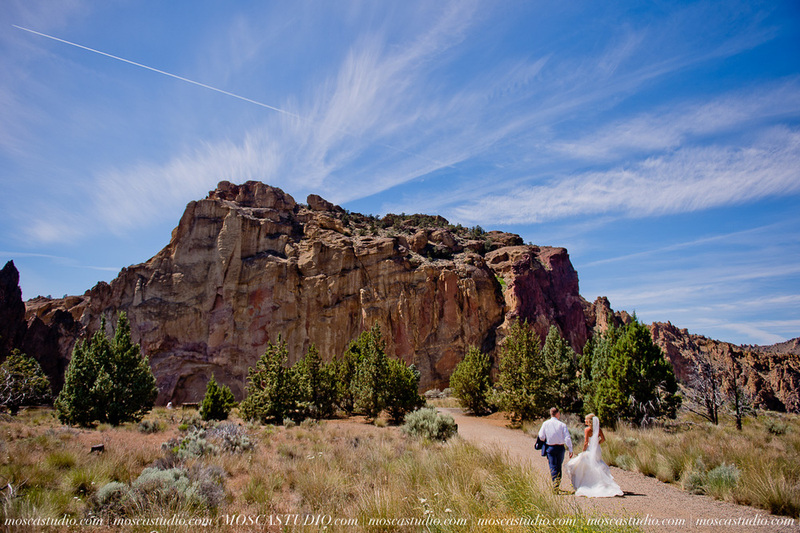 Central Oregon is absolutely beautiful for photography and we’ve had the pleasure of traveling there for 2 stunning weddings so far this 2015 summer season. 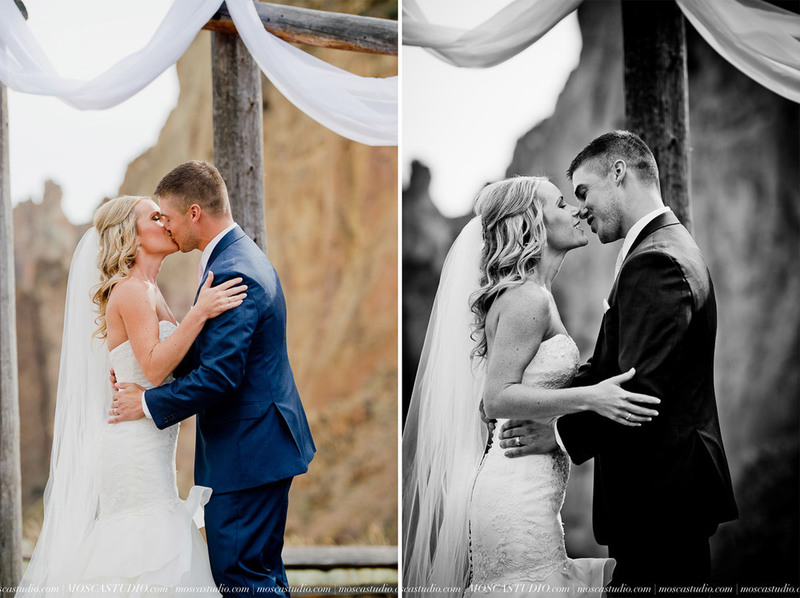 We can’t wait for the rest of them! 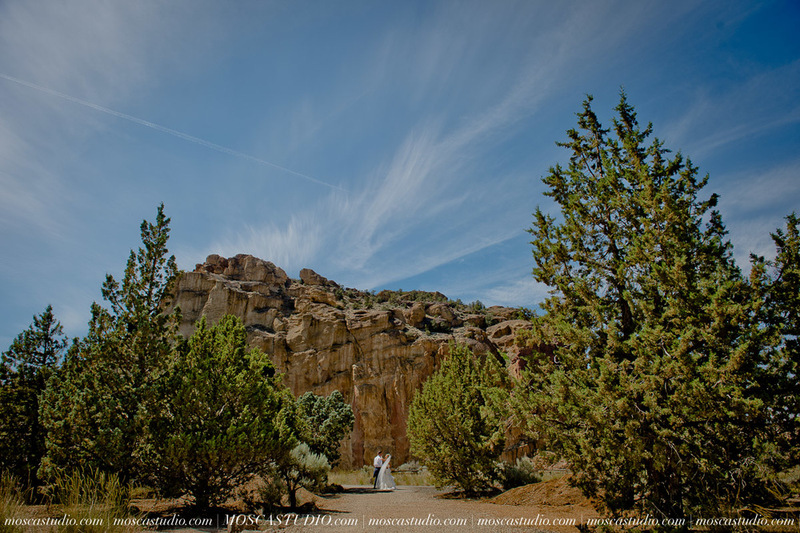 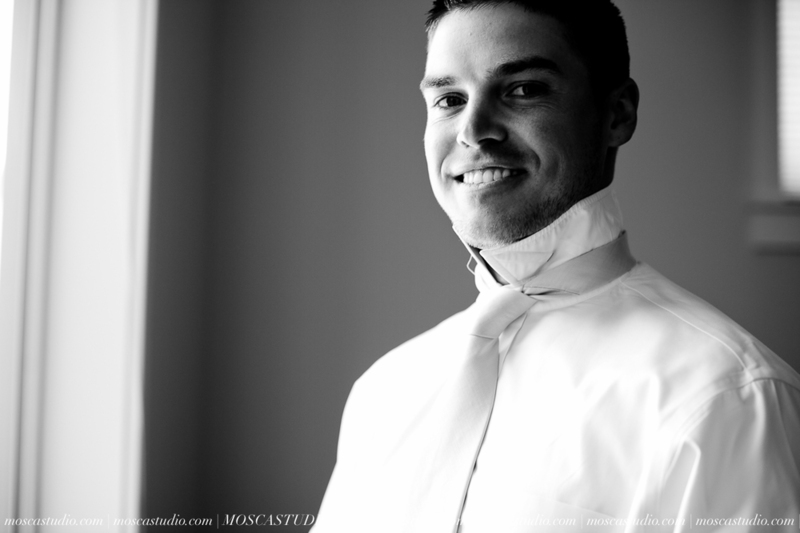 Exploring a brand new place to capture someone’s wedding day, is what keeps us inspired and excited about our art. 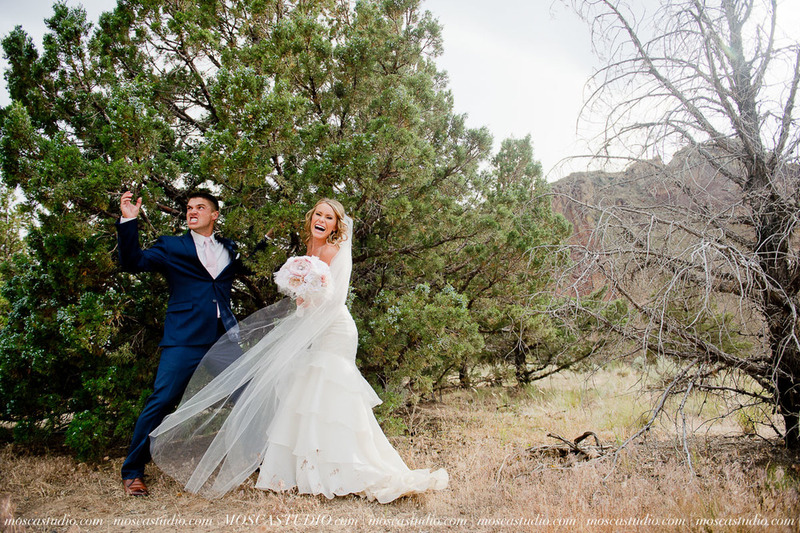 Crystal and Kevin, pictured here, are not only stunningly good looking, they are in love and fun and funny and definitely adventurous! 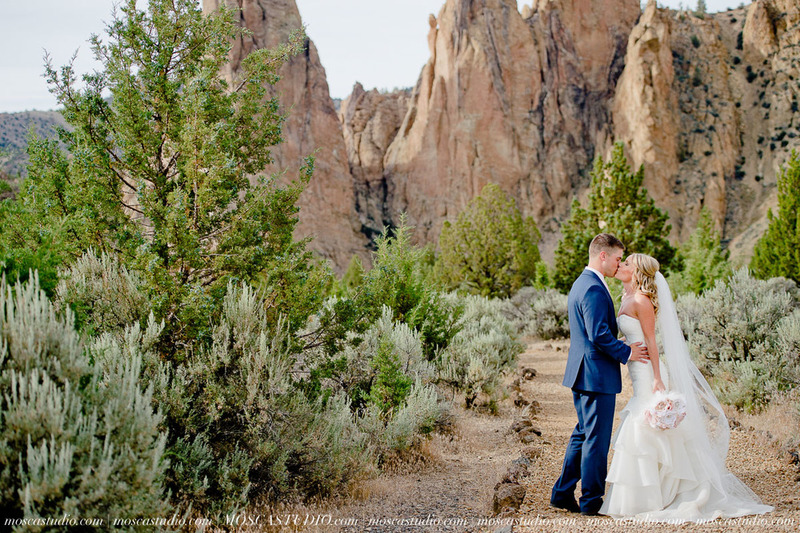 It was Crystal’s idea to hike in wedding garbs all the way to the bottom of Smith Rock State Park, for us to take our iconic environmental wedding photographs. 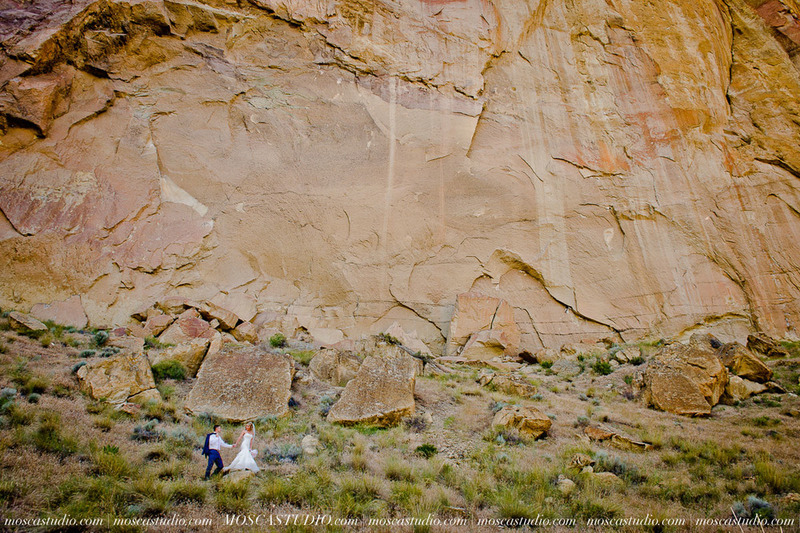 It was music to our ears when she told us that we’d hike down there (which the 4 of us with pleasure and with fun!). 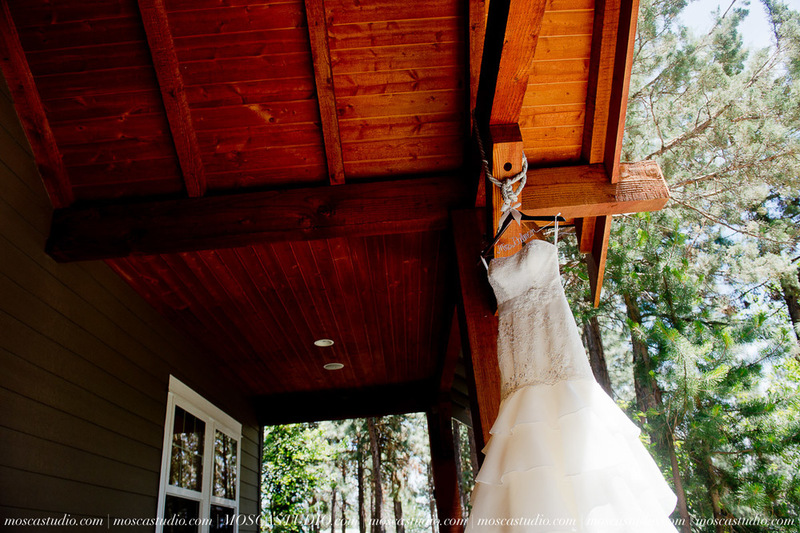 We began the day in two separate AirBnB homes for their getting ready photography, then met at Bend’s downtown park for their first look (there was a beer festival at the time, so their “private” first look was witnessed by hundreds of people! 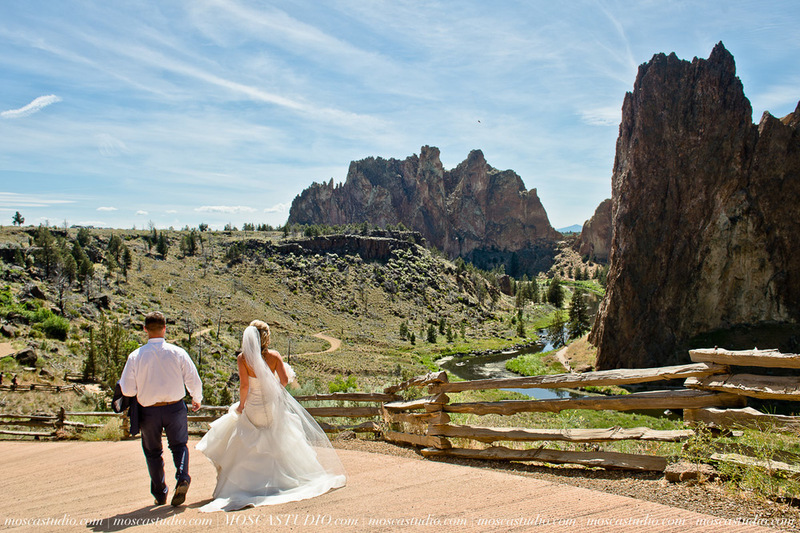 ), then we drove 30 minutes to the beautiful Smith Rock State Park for their portrait and ceremony. 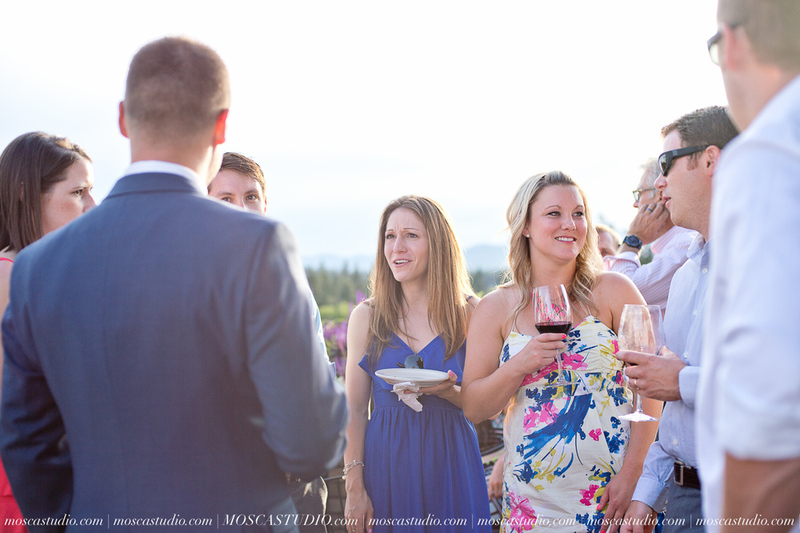 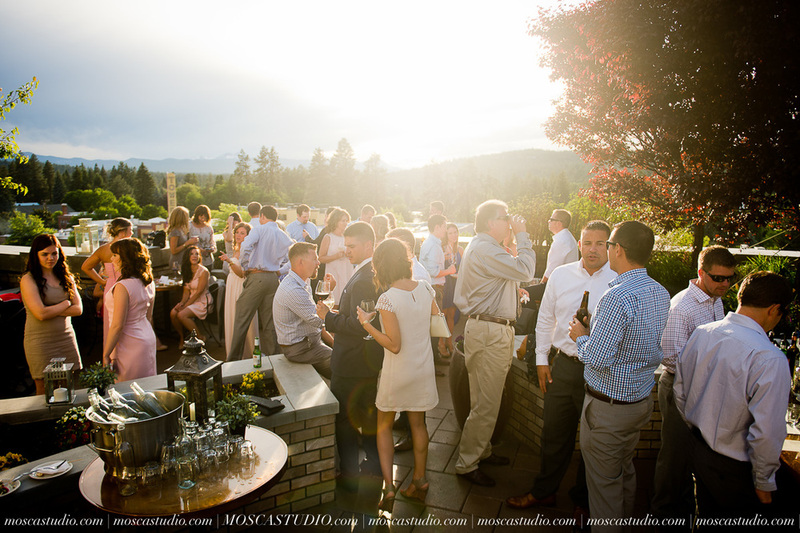 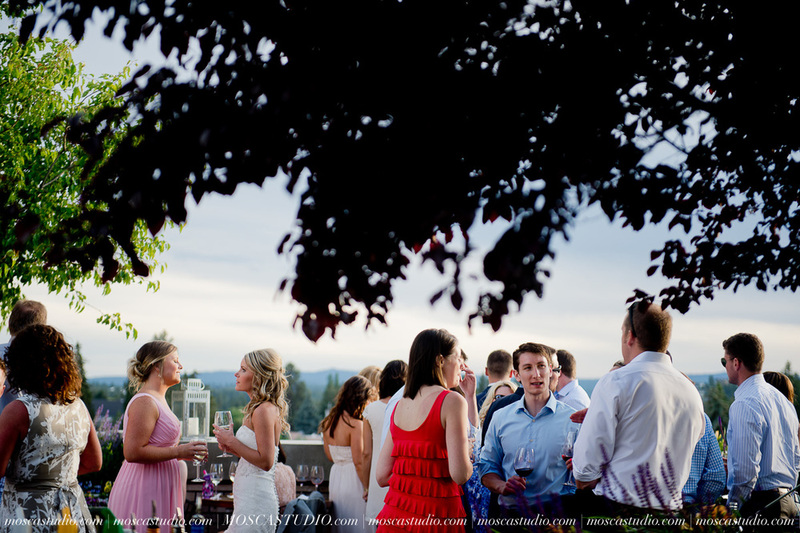 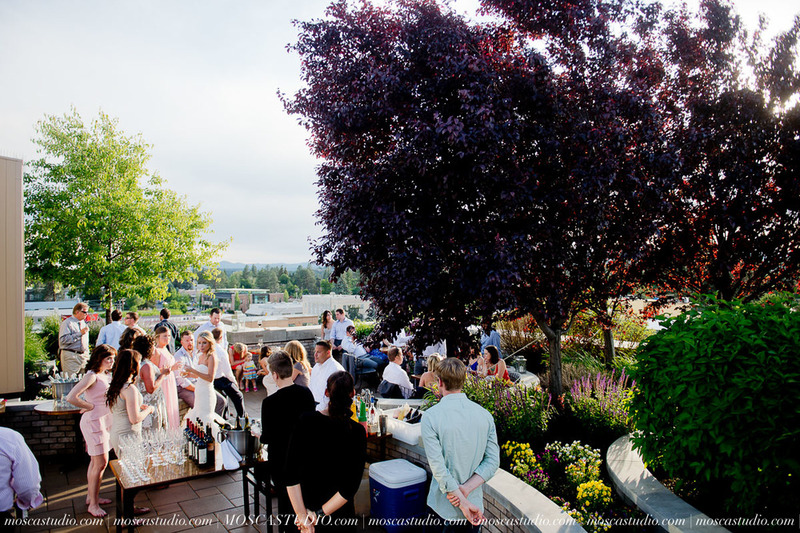 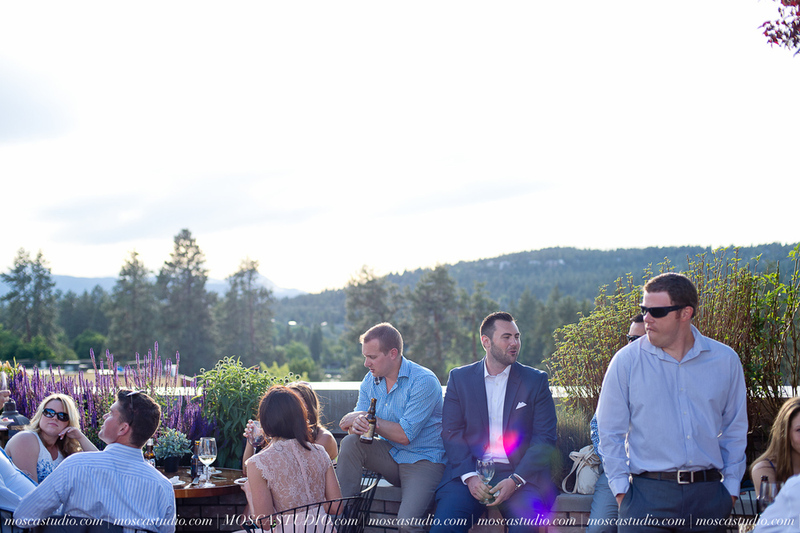 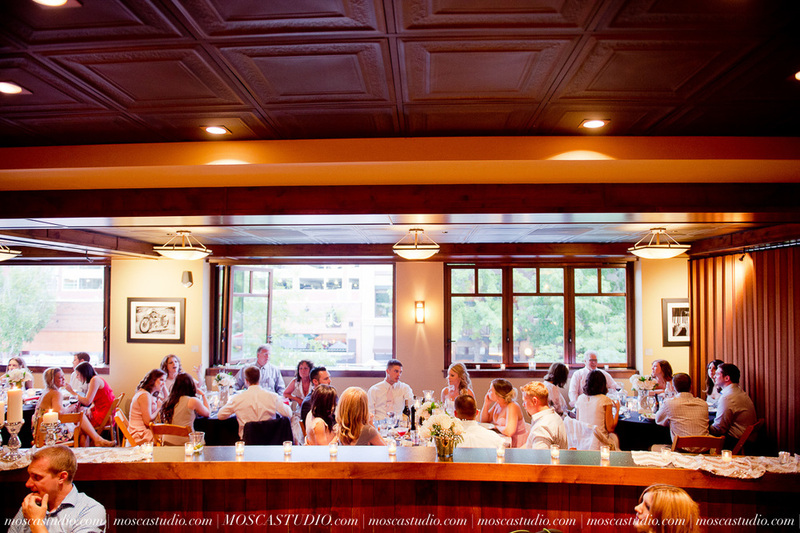 Their reception was back in downtown Bend at a trendy loft, surrounded by Bend’s annual culinary street fair… needless to say, June 20th 2015 was one busy day! 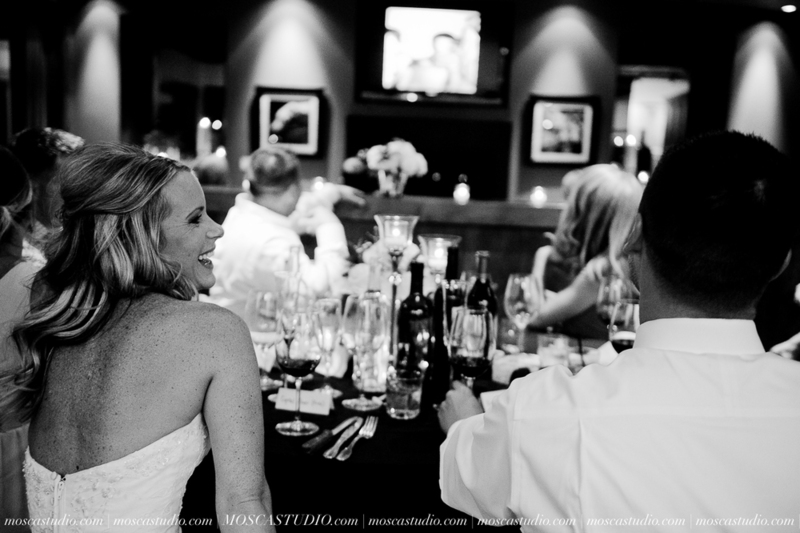 We had a blast and loved seeing them marry. 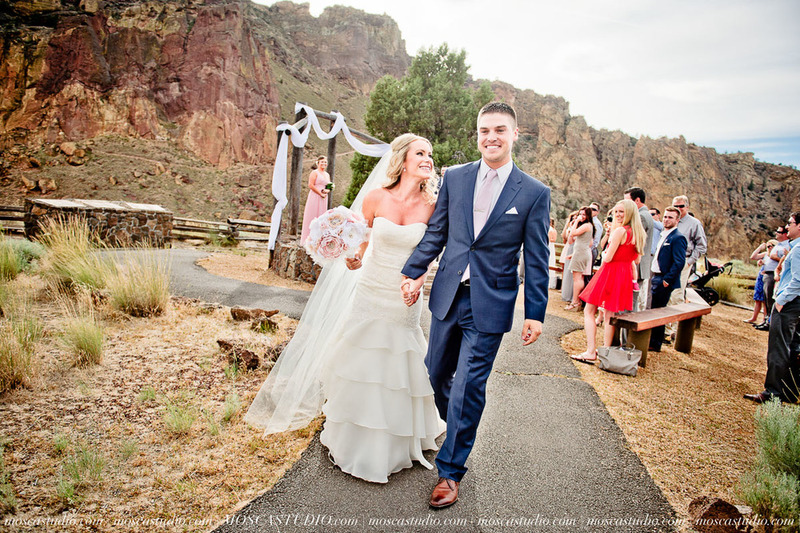 We can’t wait to see them again, soon!